The i-pad came in real handy. I used Paper Studio, and the border is made using EK Success punch. With the punch you can also roll the border and it will become a flower. 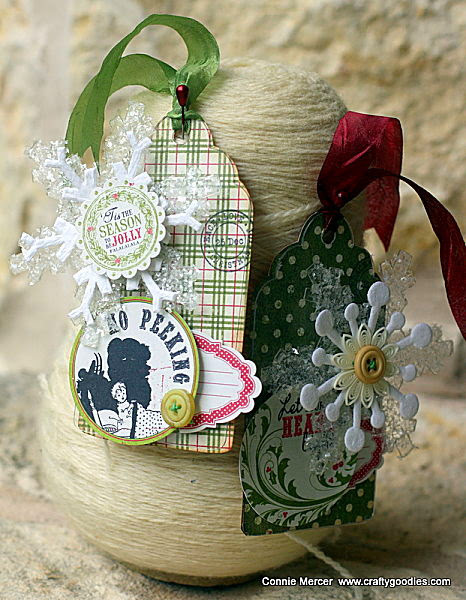 Two Christmas tags using Authentique paper and Clear Scraps acrylic tags. Beautiful projects, Connie! The layout is fantastic and I love those sweet little tags. Wow wow wowwwwwwwwww!! These are all GORGEOUS!!! I love love love love all the Christmas pretties!!!!!! ooooo love ALL your projects especially all the pix you rocked on the page. Cute cards. and Disney is sooo much fun!!!! Have a blast. love how you have so many photos on your layout! These are all so beautiful and festive, Connie! 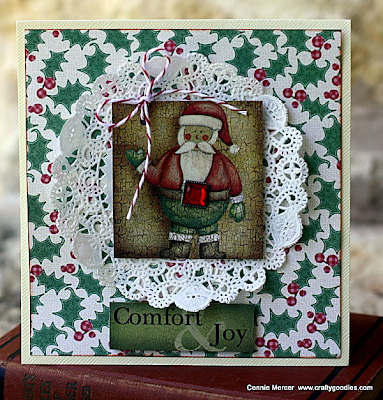 Love that fun border on the layout. Have a great time at Disney!!! What a fun layout. The title is perfect. You card are great. 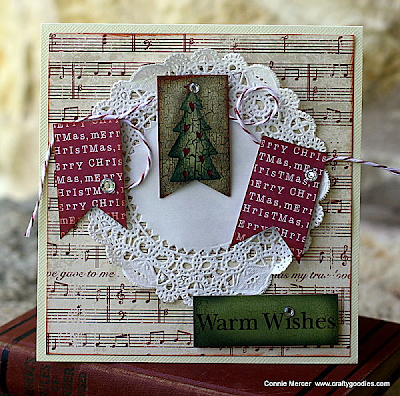 Are you going to do some pop up cards for Christmas? So cute and creative as always Connie. I hope you and your family have a wonderful Thanksgiving. Enjoy your Disney adventure! Love the layout and cards! The layout, cards and tags are so fun with all the different elements. Of course now I have to hunt down that border punch. The tags are really special.